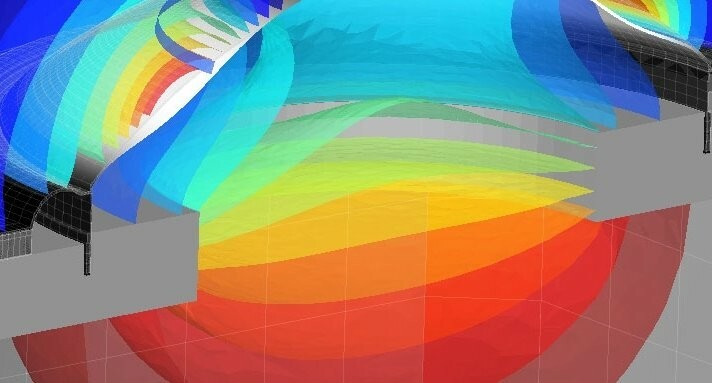 Simply put, Computer-Aided Engineering (CAE) is the process of solving complex engineering problems through the use of sophisticated, interactive graphical software, coupled with mathematical models and optimisation systems. The true value of CAE is to foster virtual product development validation by enabling manufacturers to integrate advanced technology into the conceptual design phase of their product development process. CAE is complemented by Computer-Aided Design (CAD) and Computer-Aided Manufacturing (CAM). In addition to that, there is an obvious need for metadata integration through Bills of Materials (BoMs) and more specifically configured product structures, part lists, weight and material databases. Basically, CAD and BoM are input to the CAE process, while CAM is typically a downstream activity or set of activities. Notwithstanding the fact that CAD and BoM are also output to the CAE process through the various output that it generates. CAE requires the numerical and geometric models to determine the integrated nodal network to use for the analysis. CAM requires the part geometry to determine machine tool routes and cuts. Pre-processor: numerical and planning models are created with relevant geometries or system representations, as well as the physical properties, materials, boundary conditions, constraints, etc. This might also include complex statistical models and Design of Experiments (DoE) for simulation optimisation. Solver: the models are solved using an appropriate mathematical formulation of the underlying physics. Post-processor: the results are presented for analysis and correlation against the assumptions made in the pre-processing phase and results from previous iterations or physical experimentation tests. The scope of CAE commonly include a wide array of simulation capabilities (see items 1-12 below, listed in no particular order) whose primary goals are to predict and simulate a selected range of technical load cases that represent real environment conditions as accurately as possible. To support these load cases, there are indeed many “CAE perspectives“, enabled by many related tools, applications and processes; some of which differ from one industry to another (…) or from one product type to another. These load cases represent physical use cases or scenario, typically aligned to both empirical physical test data (internal and external benchmark data) and target market legislation compliance requirements, which can be virtually tested. CAE, combined with CAD, Product Lifecycle Management (PLM), and requirements management are central to Simulation Lifecycle Management (SLM) and the ability to combine an accurate model of the reality, maximising quality, accuracy, speed of product development and validation, while minimising the number of simulation load cases and iterations (for instance by leveraging DoE). This poses the key question of virtual vs physical validation, and how much must (and can) be simulated upfront of any physical prototype validation. Some manufacturers already do full virtual validation and aim at zero prototypes (such as in the automotive industry). Integrated CAE includes the traditional validation cycles combined with Design for Manufacturing (DFM) feedback loop between concurrent engineering and manufacturing, and linking CAD to CAM and digital manufacturing. Plan the creation process, considering design of experiments, energy distribution analysis and optimisation using math and numerical models. Assess product-to-product variability while modelling uncertainty and numerical errors to predict the real-life operating conditions. Predict performance attributes of the product design, such as the stresses and vibration amplitudes at critical locations. Optimise the product development strategies in maximising reuse of part and component carry-over. Validate alignment of the virtual models and physical prototype. Traditional CAx tools are used to document a verified design rather than driving the design which is then verified later. However, the product development process can also benefit from applying CAE principles from the product planning phase to the validation phase. Based on the impact on product performance, CAE can be used as a decision making tool to select acceptable designs and validate physical prototypes. Product designs can be evaluated and refined using mathematical and numerical simulations rather than physical prototype testing, saving time and money. In doing so, CAE can provide performance insights earlier in the development process, when design changes are less expensive to make, for examples ahead of ordering long lead items such as expensive manufacturing tooling. In using CAE as a planning tool, engineers can understand better their product performance implications and manage risk accordingly at different stages of development. This extends to the ability to effectively leverage performance insights and improve designs to a broader community. The ultimate goal being of course to reduce warranty risks by identifying and eliminating potential problems as early as possible. When properly integrated into product and manufacturing development, CAE can enable earlier problem resolution, which can dramatically reduce the costs associated with the product lifecycle. This post was originally published on LinkedIn on 17 October 2016.